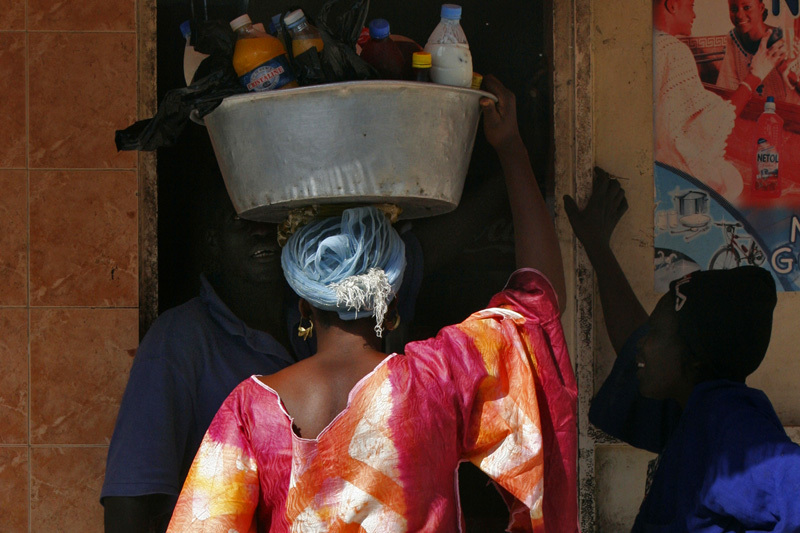 Homemade drinks for sale in Yeumbeul, a suburb of Dakar. September is the hottest month in Dakar with temperatures consistently hitting 100 degrees Fahrenheit along with high humidity as the rains come to an end. In recycled water bottles, this woman is selling orange Foster's Clark, dark red Bissap from the hibiscus plant, and a white sweet yogurt drink.